The Raleigh Durham area has been one of the fastest growing areas in the past two years and our self help chapters have grown as well. I started the adult chapter 14 years ago and the teen chapter six years ago. My goal for these chapters is to provide support for people who stutter and their families. It continues to be an incredible journey. Come join us –no matter where you are in your travels. Rita Thurman is a Speech Language Pathologist with Board Certification in Fluency Disorders. She has worked in the schools and in clinical settings in Utah, Idaho, Illinois and North Carolina. 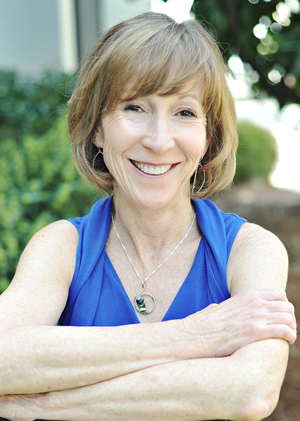 She has been in private practice in Raleigh, North Carolina since 1985. Ms. Thurman has presented workshops on fluency disorders for the NC Department of Public Instruction, the NC Speech-Hearing & Language Association and the ASHA Fluency Leadership Conference. She was a participant in the International Stuttering Awareness Day on-line conference for 2011 and written a chapter in: Stuttering: Inspiring Stories, Professional Wisdom. Ms. Thurman won the North Carolina Speech and Hearing Association Award for Clinical Competence in 2013 for her work with people who stutter in NC. She was awarded the National Stuttering Association Speech Language Pathologist of the year in 2015. She has been a chapter leader and member of NSA since 1998.